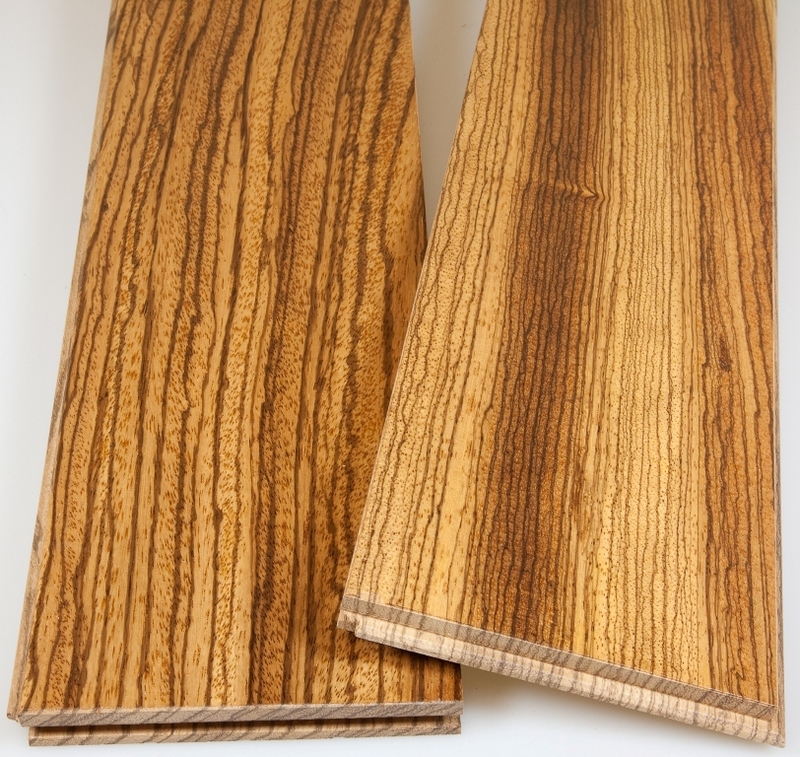 General Characteristics = Heartwood pale yellow brown with narrow darker streaks, striping pattern varies considerably; sapwood white up to 4 in. wide, distinct. Texture medium to coarse; grain usually wavy or interlocked; lustrous; unpleasant odor disappears after drying. 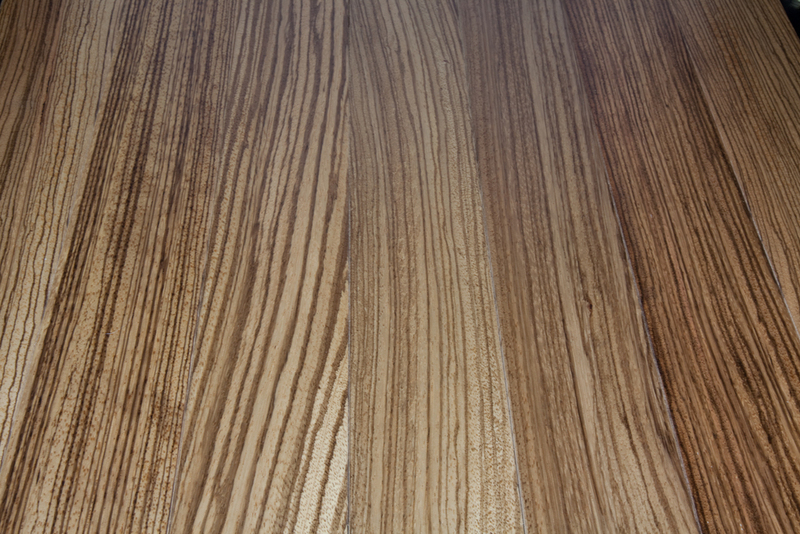 Color = Wood yellow brown to light brown, with dark brown veins.